Posted on January 26, 2017 at 5:00 pm. 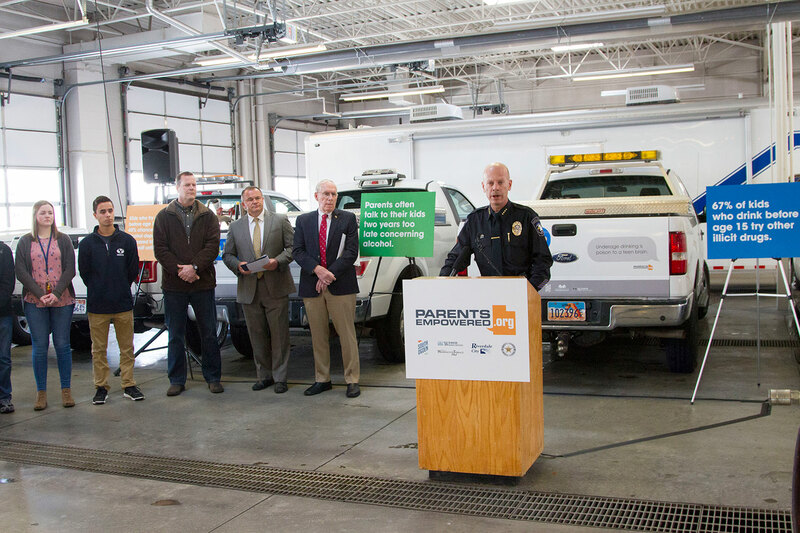 Partners across Weber County unite in first-ever mobile underage drinking prevention initiative aimed at educating parents on the harmful effects of teen drinking and motivating them to set rules against it. 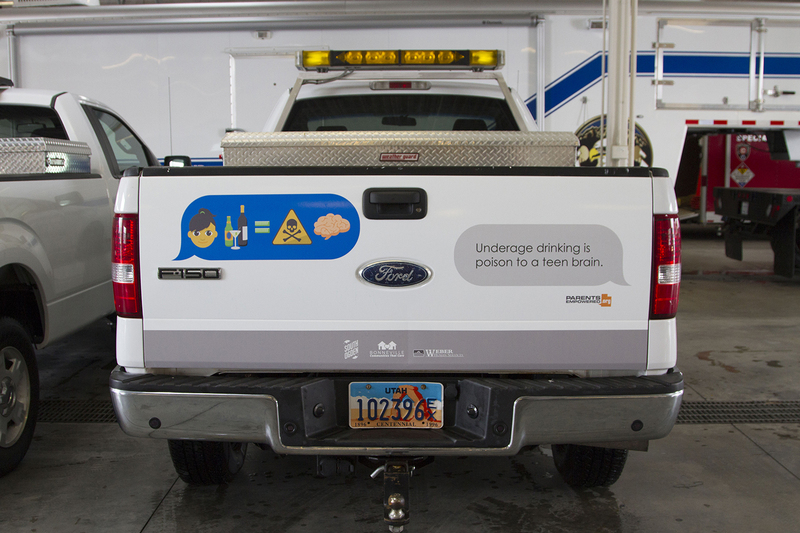 Ogden, Utah, January 17, 2017 – Starting January 20th, Weber County residents will begin to see innovative messages educating parents on the harms of underage drinking. 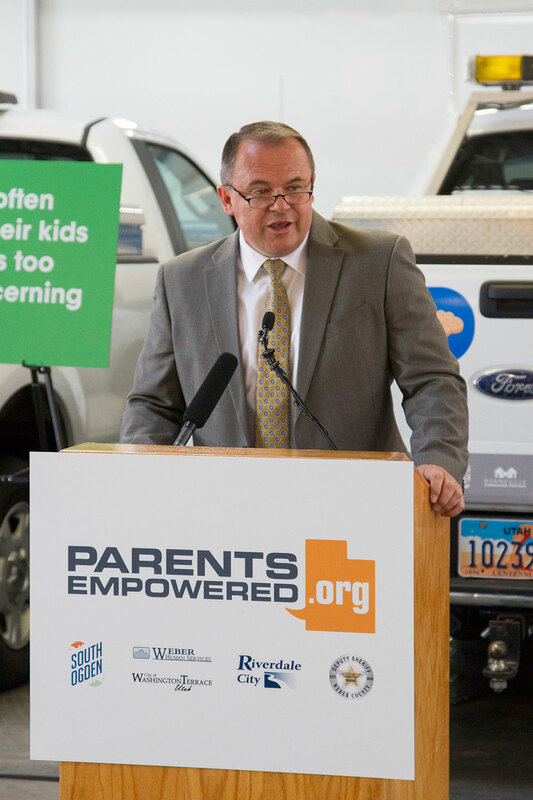 Messages will be placed on the rear tailgates of city and county trucks, typically used for snowplowing and community maintenance, and are part of a public/private partnership between Weber Human Services, Bonneville Communities That Care and Utah’s Parents Empowered initiative. 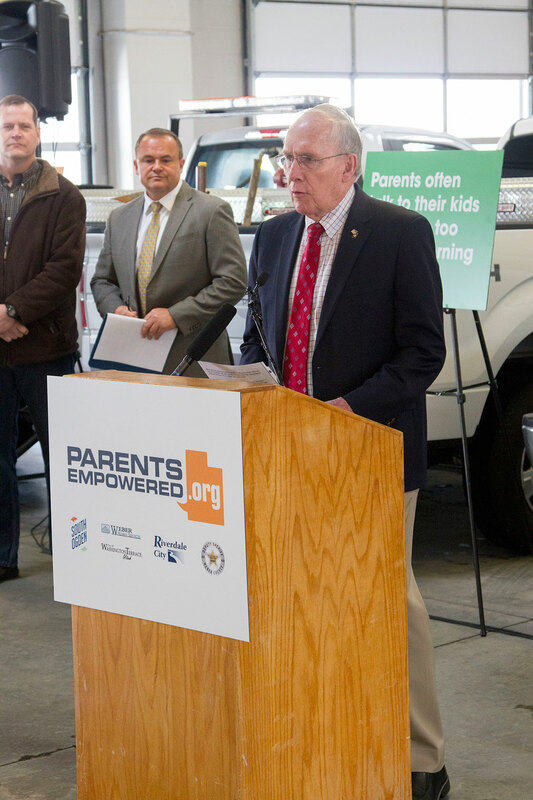 The goal of the effort is to motivate parents to discuss the effects of underage drinking with their children and set clear rules to keep them free from alcohol experimentation. On January 20 from 12:00 to 12:30 p.m. at the South Ogden Fire Department (located at 3950 Adams Ave #1, Ogden, Utah), Mayor Norm Searle, Mayor of Riverdale City; Chief Darin Parke from South Ogden Police; Craig PoVey from Bonneville Communities That Care; Kevin Eastman, Director of Weber Human Services; representatives from Parents Empowered; and over three-dozen local city/county employees and supporters will introduce the initiative, discussing why underage drinking is a major concern for Weber County and its communities. Research shows that kids who experiment with alcohol before age 15 have a 45% chance of becoming alcohol-dependent, but only a 7% chance if they wait until age 21. The graphic messages on the trucks, along with community-wide education efforts, will run for the next six months. 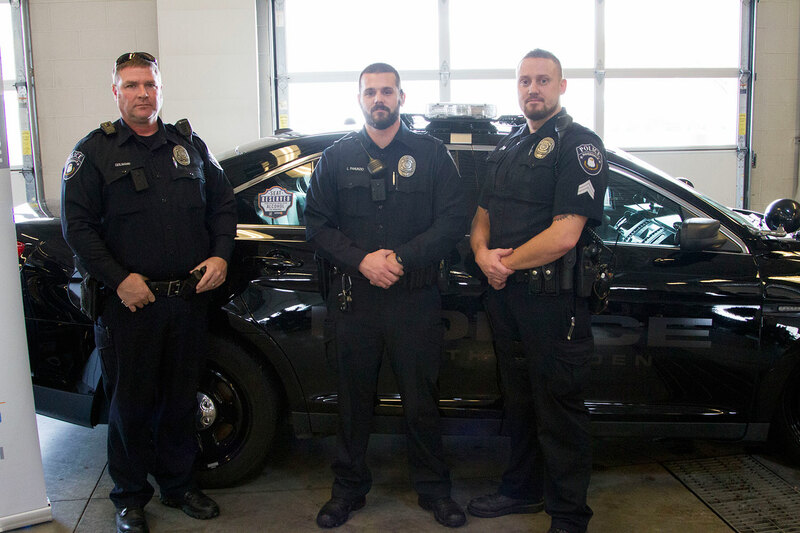 Additional efforts are in place to host educational sessions and law enforcement outreach efforts to further educate and motivate community change. 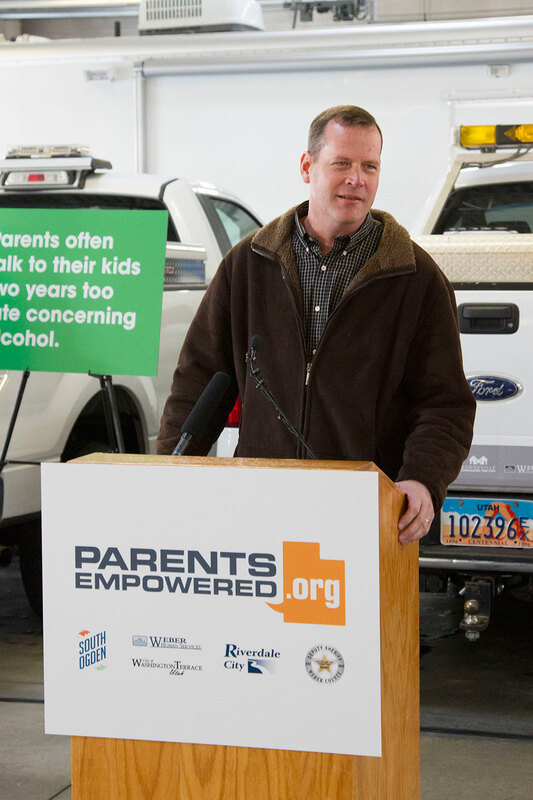 Parents Empowered is a statewide campaign focused on eliminating underage drinking in Utah. Its primary goals are to educate parents about the dangers of underage drinking and provide them with proven skills to communicate with their children about remaining alcohol-free. More information is available at www.parentsempowered.org. 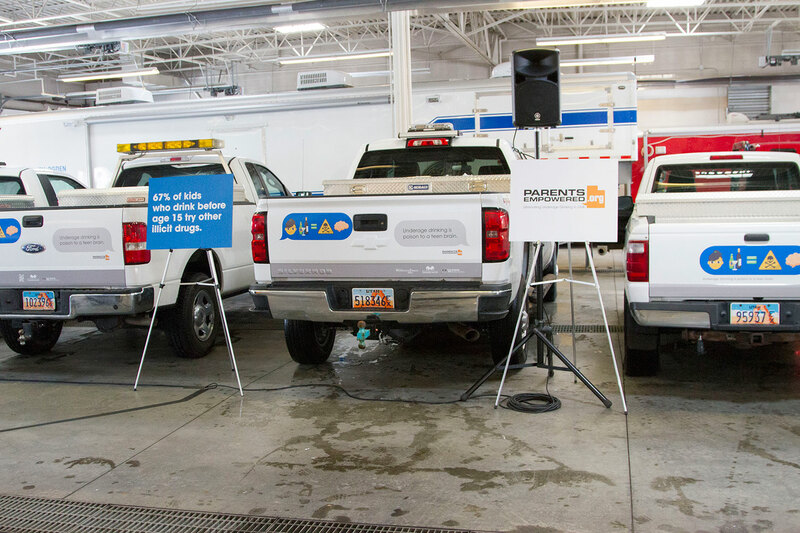 Bonneville Communities That Care (CTC) is a coalition of community members from four cities in Utah- Uintah, Washington Terrace, South Ogden and Riverdale. Individuals from government, law enforcement, education, local business, healthcare, volunteer and social service groups, youth-serving organizations, parents, and youth are working together to create a brighter future for both the community and the youth in the Bonneville Cone area.